"This is all we have…" "We have each other." A24 has revealed the first official trailer for a post-apocalyptic survival thriller (we seem to be getting a lot of these recently) called Into the Forest, which premiered at the Toronto and Vancouver Film Festivals late last year. Ellen Page and Evan Rachel Wood star as two women living in a remote ancient forest when the world goes crazy all around them. There's kind of a The Road vibe to this, but it's much more about hope and sticking together to survive. The full cast includes Max Minghella, Callum Keith Rennie, Michael Eklund and Wendy Crewson. Check this out below. In the not too distant future, two young women who live in a remote ancient forest discover the world around them is on the brink of an apocalypse. Informed only by rumor, they fight intruders, disease, loneliness & starvation. 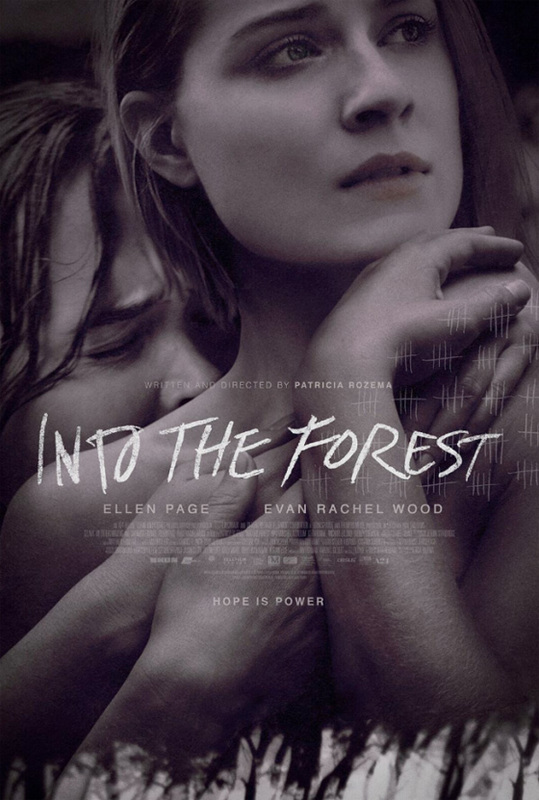 Into the Forest is both written and directed by Canadian filmmaker Patricia Rozema, of White Room, Mansfield Park, This Might Be Good and Kit Kittredge: An American Girl previously. It's adapted from a novel written by Jean Hegland. This premiered at the Toronto Film Festival late last year. A24 will release Into the Forest on DirecTV starting June 23rd, then in theaters on July 29th. The trailer is awfully edited, but the movie looks promising. Let's hope Ellen Page will be cast as Ellie in the last of Us. A24 is killing it, man. I am getting maybe a little bit a supernatural vibe. Patricia Rozema is an underrated talent for sure. She has made a couple of remarkable films and if only her work would get some funding, it would be an incredible asset to the world of cinema. Unfortunately Canada doesn't seem to value Canadian filmmakers the same way they value (and fund) musicians.